Although there are several different types of eucalyptus oils available on the market, Eucalyptus radiata essential oil is often the most popular choice for aromatherapists who generally prefer its aroma to that of Eucalyptus globulus. The difference is quite subtle, but the softer fragrance of the radiata variety can be easily distinguished by most people. Another reason that aromatherapists often prefer eucalyptus radiata essential oil is due to its aroma being less ‘searching’ when it’s used to treat sinus and respiratory conditions, especially with young children or the elderly. Interestingly, it is often reported by therapists that they find eucalyptus radiata essential oil more effective in treatments than eucalyptus globulus. The vast genus of Eucalyptus includes almost 700 species, and it continues to expand as unknown species are discovered and catalogued. The close physical similarity of many species and the wide variability in leaf biochemistry has proven to be a huge challenge to botanists ever since the genus was first discovered. Initially, some species of Eucalyptus were incorrectly identified and even today revisions of taxa continue to take place in an attempt to clarify the state of affairs, with apparently varying levels of success. To say that the taxonomy of this species is confusing and incomplete would be something of an understatement! Belonging to the Myrtaceae family, Eucalyptus radiata is an evergreen tree which grows up to 15 metres (48ft) in height, although occasionally some trees achieve 30 metres (97ft). It is a graceful tree with a weeping habit and a dense, spreading, pendulous crown. Its leaves are glossy and lanceolate (tapering to a point) with a strong aromatic fragrance. The bark is fibrous and grey-brown in colour, with smaller branches that become smoother. In its native country, Eucalyptus radiata is commonly known as the Narrow-leaved Peppermint because it bears a physical resemblance to the Broad-leaved Peppermint (Eucalyptus dives), and is grouped together with the latter under the ‘Peppermint’ genus of eucalypts. However, E. radiata does not have a peppermint-like aroma, this description refers to its physical appearance. And to confuse things even further, this species is also referred to botanically as Eucalyptus australiana. Streuth! The Aborigines used a wide range of natural plant remedies, and these would vary from tribe to tribe according to the indigenous species that were available to them. Wherever any species of eucalyptus grew they were used to heal wounds, cuts and burns, as well as treat various respiratory conditions. The leaves would be burned and inhaled for the relief of fever or be steeped in water to make an infusion for stomach upsets and cramps. For external wounds and infections, fresh leaves were applied directly where their antibacterial properties would help to kill infection and speed up the healing process. The tree is native to Australia, therefore not surprisingly this country is the main producer of the essential oil which is still widely used in pharmaceutical products as well as aromatherapy. 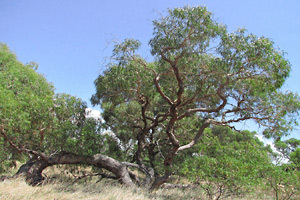 Unlike some other Eucalypts such as E. globulus and E. citriodora, the radiata variety is not cultivated for the large scale production of an essential oil in many other countries, although small-scale production takes place in South Africa and Russia. Steam distillation of the fresh or semi-dried leaves and twigs yields a colourless volatile oil that has a fresh, camphoraceous aroma with a slightly herbaceous and woody backnote. In general, the aroma of radiata is warmer, sweeter and softer than that of the globulus variety. The natural chemistry is also noticeably different to the globulus, typically containing a less 1,8 cineole which is the component that imparts its medicinal-type odour. In my opinion, Eucalyptus radiata is better suited than globulus for chronic respiratory conditions and viral or bacterial infections, especially with young children. 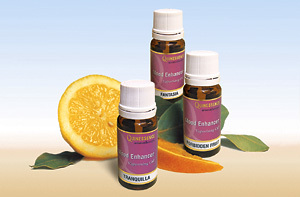 However, it is still advisable to exercise care with very young children due to the cineole content of this essential oil. As with E. globulus, avoid application of the oil near an infant’s nostrils due to the risk of spasm of the epiglottis which can be induced by the cooling effect on the respiratory system. To be safe, never use either eucalyptus radiata or globulus essential oils near very young babies. Used in massage blends this essential oil is very helpful for conditions such as arthritis, rheumatic conditions and everyday aches and pains due to its anti-inflammatory, stimulating and warming action. Eucalyptus radiata oil is a top note that blends very well with many other essential oils to provide this type of therapeutic action, and it works particularly well with Chamomile Roman and German, Black Pepper, Ginger and Marjoram Sweet. Australia’s essential oil industry was born in 1852 when the first crude still apparatus was erected at Dandenong Creek in Victoria. 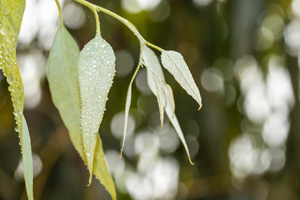 Eucalyptus radiata has the distinction of being the very first essential oil to be produced at this site because it grew abundantly in the area, although at the time it was still known as E. amygdalina. There are two varieties of Eucalyptus radiata; E. radiata subsp. radiata, and E. radiata subsp. robertsonii. Within these varieties further variations occur in the leaf biochemistry, which creates an even wider diversification. The oil that we are familiar with in aromatherapy is known as a 1,8 cineole chemotype, or variant. There is also another chemotype; Eucalyptus radiata var. phellandra which is used as a source of menthol and thymol, and also to fragrance inexpensive soaps and disinfectants.